I've probably mentioned this before but the only films I really like are chick flicks and comedies. I'm going to cheat and pick my two favourite films. One of my all time favourite films is The Hangover. There are so many good parts to it and it's guaranteed to make you laugh! 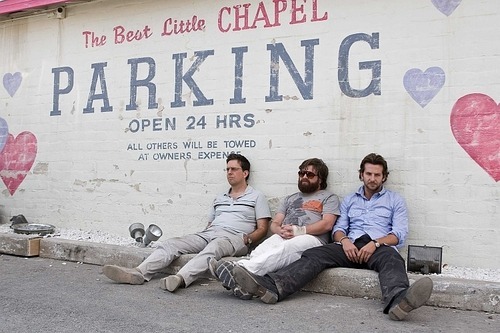 I hope the rumours of there being a The Hangover 2 are true! "Alan Garner: it’s not a purse, it’s called a satchel. Indiana Jones wears one." 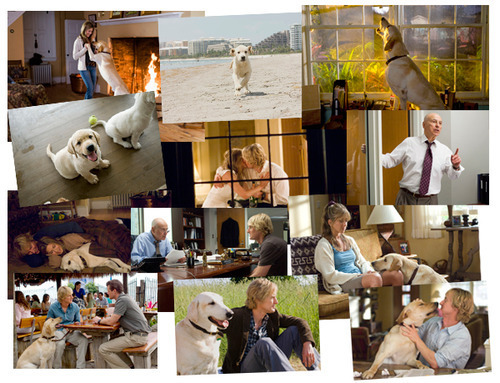 I loved Marley & Me even though it's the saddest film i've ever watched. I've never cried at a film before but being a true animal lover I cried my eyes out at this one! "John Grogan: A dog has no use for fancy cars, big homes, or designer clothes. A water log stick will do just fine. A dog doesn't care if you’re rich or poor, clever or dull, smart or dumb. Give him your heart and he’ll give you his. How many people can you say that about? How many people can make you feel rare and pure and special? How many people can make you feel extraordinary?" The Hangover is hilarious! I really fancy watching it again now, hehe! I adore Marley and Me, but you're right, it is so, so sad :( It's just such a 'real' movie.